Researchers say ‘a consistent signal emerges’ over longer periods. In theory the Moon should be a suspect given its role in tides? Beneath the peaceful rolling waves of a lake is a rumble, imperceptible to all but seismometers, that ripples into the earth like the waves ripple along the shore, reports Phys.org. In a study published today in the Journal of Geophysical Research Solid Earth, scientists at the University of Utah report that these small seismic signals can aid science. As a record of wave motion in a lake, they can reveal when a lake freezes over and when it thaws. And as a small, constant source of seismic energy in the surrounding earth, lake microseisms can shine a light on the geology surrounding a lake. Seismologists have long known that wind-driven ocean waves generate small seismic waves, called microseisms. These microseisms are generated as waves drag across the ocean floor or interact with each other. They are part of the background seismic noise in coastal areas. 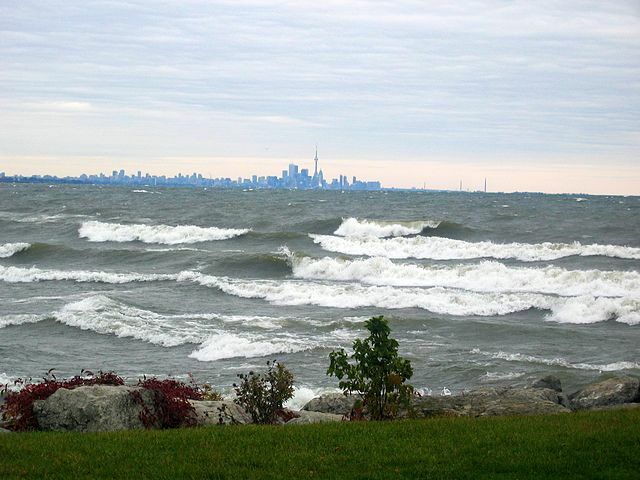 “We’ve recently found that the waves on lakes actually generate these microseisms too,” Koper says. Lake microseisms had been previously recorded near the Great Lakes, Canada’s Great Slave Lake and Utah’s own Great Salt Lake. In the paper, Koper and colleagues present additional observations from Yellowstone Lake and three lakes in China, exploring the characteristics of the respective lakes’ microseisms. Koper says the tremors are very small. “You wouldn’t be able to feel ’em, that’s for sure,” he says. But by averaging seismic signals over a long period—six months, for example—a consistent signal emerges. The comment ” We really don’t know how it is created” is a bit odd. A wave 1m high 6 m long and stretching across a lake represents quite a large mass. A mass that is moving. Just consider a giant stamping their large feet by the side of a lake. Same effect. Steve R, if they don’t know then they should divert some of the funds that are going in ‘climate research’ and use it for real research on this.